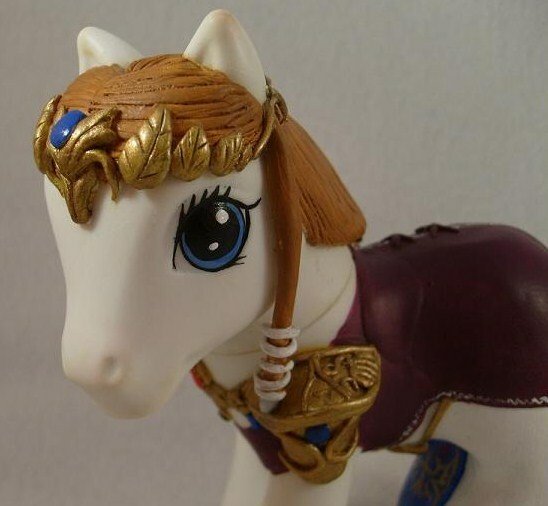 The transformation of Princess Zelda into a pony is surprisingly successful. Zelda’s identity is immediately clear and is expressed with crisp and lovingly sculpted details. I especially like the attention paid to the princess’s elaborate jewelry and embroidered shoulder pads. 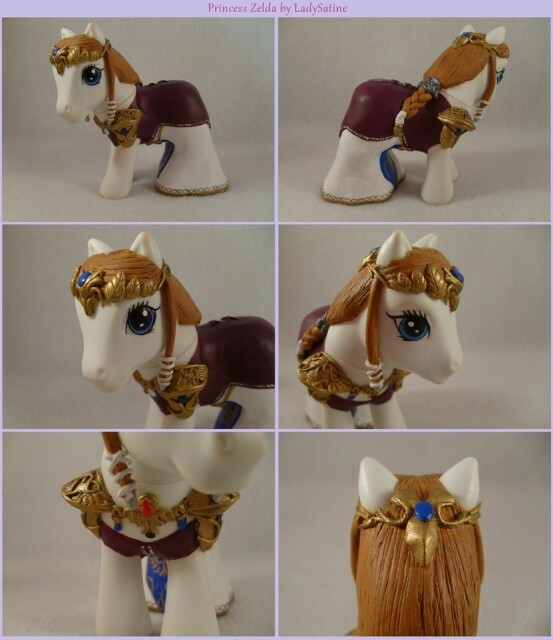 LadySatine2004’s deviantART gallery contains a multitude of custom-made pony creations, showing her clear enthusiasm for the artistic niche. Feel free to check out her full collection here.